Thursday Night can only mean one thing, some dancing and some partying. 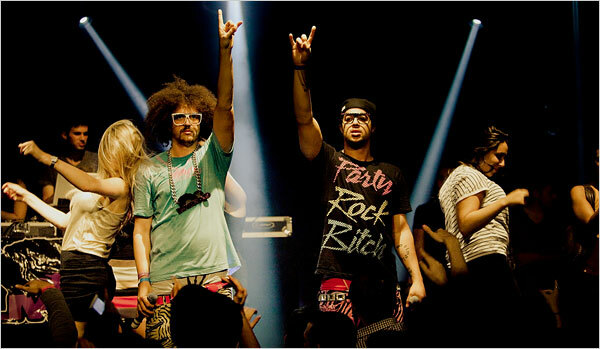 If you haven’t heard LMFAO’s Party Rock Anthem, then you are seriously missing out/ really out of the loop. I have found a remix, unreleased, that will crack the dance floor in half, cause the all the lights to start flickering and cause the ceiling to catch on fire while burning the whole neighborhood down, in essence I’ll find the full song for you soon. Besides the fact, If you are an Afrojack fan then I highly recommend the Tonic and Dago’s single I just came across “Pochwa”. If you like Prter Robinson, and the progressive/dubby mix, you’ll like the last song I posted. And the bonus goes out to the homies in Michigan the last couple nights doing the backwards crip. Sorry, you can’t watch the video. Click the link if you want to see it, its jokes. Posted on April 14, 2011, in Dance, House. Bookmark the permalink. Leave a comment.